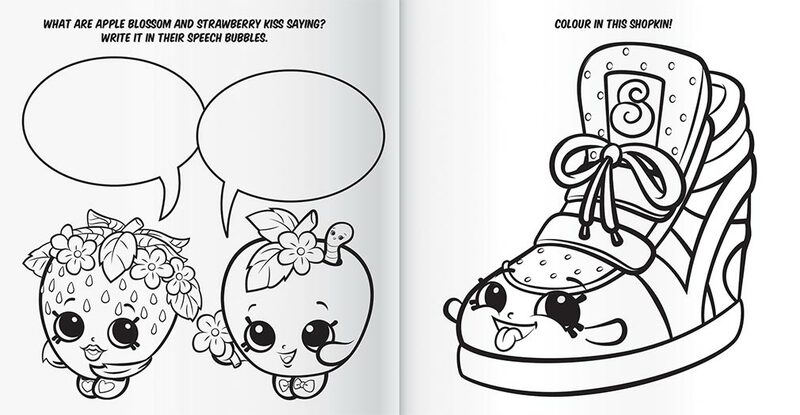 Meet Cheeky Chocolate, Lippy Lips, Apple Blossom and all their Shopkins friends in this cute kit! 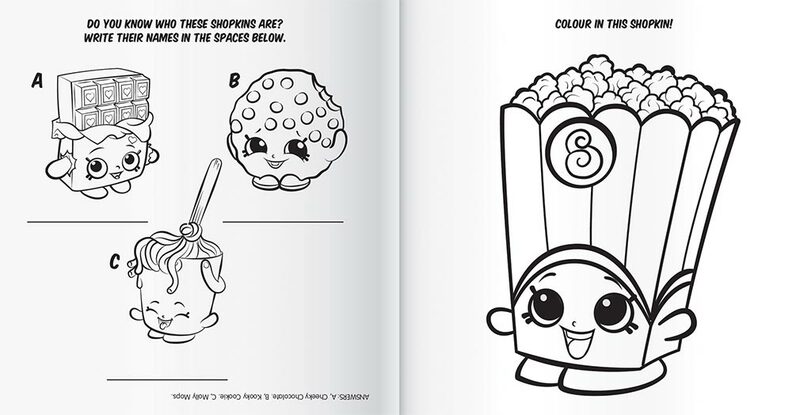 Follow the step-by-step instructions and easy-to-follow directions in the 32 page doodling book to complete a range of fun drawings and colouring pages. 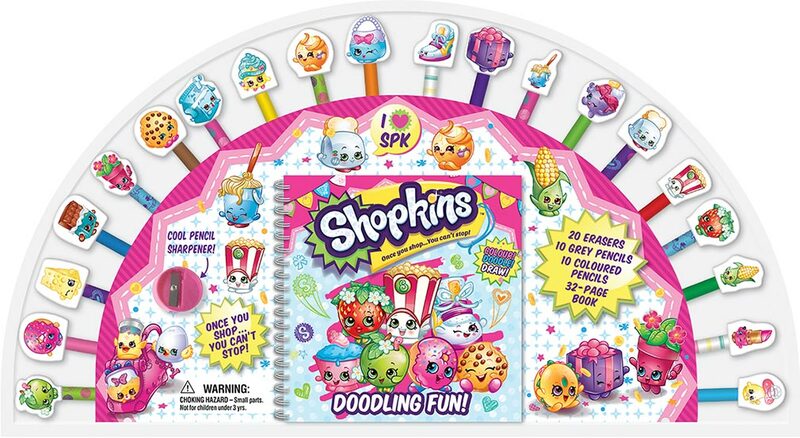 Packaged with 10 coloured pencils, 10 graphite pencils, and 20 erasers featuring your favourite Shopkins characters, you’ll be doodling in no time!